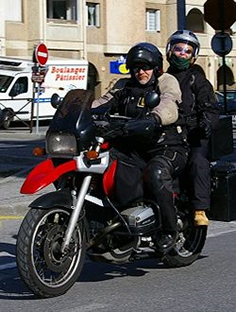 Riders who have been writing recently to their MEPs regarding the proposal for new regulation for motorcycles (Approval and market surveillance of two – or three-wheel vehicles and quadricycles) should have received a reply. The in-depth briefing for MEPs constituents and you the rider, put together by UK MEP Malcolm Harbour and Chair of the IMCO committee, appears to be the result of a suggested letter template sent to MEPs in the UK. Unfortunately the content of the letter includes comments which are a misunderstanding of the proposed regulation. The “Briefing For Constituents On The Draft Motorbikes Regulation” can be read below, along with the suggested letter which was published by the UK’s BIKE Magazine. Reading this constituent briefing in conjunction with our recent report (published yesterday) on the “high level” meeting which took place in Brussels on emissions, durability, safety and vehicle specifications we believe that it will give riders the opportunity to have a clearer picture. Finally we have included a response to anti-proposal comments that have been published and circulated to riders. I am very worried about the proposed Regulation covering approval and market surveillance of two – or three-wheel vehicles and quadricycles – COM(2010)542. It is scheduled for a plenary session vote on the 3rd of July 2012. Some of its measures have grave implications for UK businesses, and severely restrict freedoms which millions of motorcycle riders across the EU currently enjoy. My first concern is Article 18, which bans all modification from Type Approved specification of the drivetrain, from the engine intake to the rear tyre diameter, by owners or workshops. Many riders improve cruising comfort, fuel economy or engine flexibility. Article 52 prevents any component from an off-road bike being sold for road use. Many riders use such parts for track day riding. The proposal also mandates ABS for all bikes & mopeds above 50cc, even though the European Parliaments’ cost/benefit analysis, & the European Motorcycle Industry’s body ACEM, show the effect will be negative. My biggest concern is the regulations four Delegated acts. These contain the technical specifics for every motorcycle component that will be affected, including the chassis. These acts will not be completed until after you are asked to vote. It is unacceptable & undemocratic that you & I cannot see what are voting on before it is too late. The commission acknowledges in Annex XVIII of the impact assessment that it has no proof of a connection between modifications & safety. This breaches the Treaty of the European Union (Art 5, para4) & Protocol2, article5. A complaint to the European ombudsman is ongoing (0875/2011/JF). The briefing below is a response for MEPs to use in relation to this letter provided by BIKE magazine. “The IMCO Committee vote on the European Parliament’s draft amendments to the proposed Regulation, which took place on 5th December 2011, allowed a large number of the non-controversial elements of the proposal to be settled. The Committee has since focussed on the more contentious questions, and started by commissioning an additional limited Impact Assessment on some of its own proposals. The Chairman of the Committee called for this as these proposals were substantive and needed to be subject to a proper cost benefit analysis. The final results of the Parliament’s limited impact assessment will soon be published on the IMCO Committee website. The Parliament’s limited own impact assessment focuses on the IMCO proposal to make ABS compulsory on 50cc to 125cc motorcycles. The Conservative position is that the cost benefit analysis reveals there is no tangible added benefit with this. MEPs in other groups do not necessarily share this interpretation of the results, but the Conservatives will continue to oppose this particular Committee proposal, which we voted against, but where unfortunately, we were in a minority at the Committee stage. We understand however that the European Commission supports our position, and we expect this will also be the case for the majority of EU Member States. Until the Parliament’s final vote in Plenary in 1st reading, the IMCO Committee negotiating team is still fully involved as one of the parties in the informal negotiations between the European Parliament, the EU Member States (represented by the European Council Presidency), and the European Commission. Discussions at technical level to prepare for these negotiations are underway. These negotiations will aim to agree a compromise text. The Committee Report is not the Parliament’s final position, and if negotiations go well, the Committee Report would be replaced by this compromise text following from the negotiations and the vote in Plenary would be to endorse this new text. The negotiations will clearly be informed with the findings of the Parliament’s supplementary Impact Assessment. There is plenty of time for the Parliament to review the contents. On the question of delegated acts, the Commission provided EU Member State ministries (in the relevant Council working party) with a first draft proposal in order for Member States to better understand the overall emerging EU legal framework for motorcycle manufacturing. This working party is considering draft proposals for delegated acts which would be tabled subsequently to the text of the main Regulation having been agreed between the co-legislators. This is an established procedure in EU law making. Where the Council has doubts, is unclear, or simply disagrees with the Commission, the Council can either ask the Commission to modify the relevant proposals for delegated acts, or collectively, may simply prevent the Commission from making such proposals. We are aware that Member States are already proposing to delete some of the delegated powers the Commission had proposed for itself. If the corresponding proposals cannot be detailed in the text of this Regulation and agreed by the European Parliament, these will need to be subsequently subject to a full legislative procedure involving the European Parliament. To summarise, not all of the Commission’s proposals for delegated acts will make it through the on-going initial review by Member States. In any case, delegated acts, once proposed, are subject to European Parliament scrutiny with a formal right to block individual measures. On the question of the draft anti-tampering measures, the intention is to address only those motorcycle modifications which are harmful in terms of functional safety or detrimental as regards the impact on emissions requirements. Not one of the negotiating parties supports banning standard modifications and part replacements. The shared aim by all parties is only to target vehicles which are already limited in speed or power (mopeds or learner motorcycles), and which are in fact already within the scope of anti-tampering rules today. But these rules do need to be brought up to date according to technological developments. The corresponding IMCO proposals on anti-tampering are in the process of being vetted and adjusted in the context of the technical discussions in preparation of the negotiations. The Conservative delegation is confident that these measures will not stop anyone sensible from customising or modifying their motorcycle. 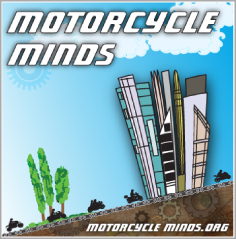 Please find below a link to the recent motorcycle working group presentation for more detail. In relation to questions relating to Art 52, Paragraph 3 of the Commission’s proposal, which refers to racing parts: in the original Commission proposal the description was indeed too restrictive, but following recent negotiations between Member States, the wording of the Council’s draft has now reverted to the basic text of the Framework Directive for motor vehicles (Article 31(3) of Directive 2007/46), which the Commission does not object to, and as matters stand, it will no longer be forbidden to sell parts for racing vehicles so long as these are type-approved. We do not expect the European Parliament delegation to oppose this in negotiations. Anti Proposal comments: The EU Type Approval and Market Surveillance Regulation is consolidating loads of pre-existing Euro legislation, while at the same time extending its reach and placing more control in the hands of bureaucrats. RTR Comment: NOT TRUE. The proposal (NOT REGULATION) aims to consolidate 13 regulations into 4 thus eliminating repetition and red tape to avoid unnecessary bureaucracy. What the “expert” who wrote this has not considered, is that whatever regulations are passed, they still must conform to UNECE regulations. Anti Proposal comments: It aims to stop owners and bike shops carrying out modifications to motorcycle power-trains, from the airbox down to and including the radius of the rear tyre. Anti Proposal comments: It aims to prohibit the fitting of any engine re-mapping device. RTR Comment: NOT TRUE – On Board Diagnostics are already being used! Has anybody you know complained about OBD prohibiting the fitting of engine re-mapping devices? Anti Proposal comments: It admits that there is no evidence to say there is a problem caused by modifications, or what size that problem may be. RTR Comment: THERE ARE NO PLANS TO PROHIBIT MODIFICATIONS – there are plans – which have yet to be approved – to put in place measures to prevent tampering of power outlets on motorcycles that are already restricted – e.g. mopeds, 125cc etc. Anti Proposal comments: It aims to make ABS compulsory on every machine from 50cc up, adding hugely to the purchase price of cheap commuters, which is against the wishes of manufacturers too, who believe combined braking is often better suited. RTR Comment: THERE WAS AN AMENDMENT PUT THROUGH BY AN MEP. This is being discussed in the trialogues, furthermore both Council and the Commission are opposed to this, thus we understand that this amendment will be rejected and the proposal for CBS will be included. However what we do know is that where ABS will be made compulsory – most probably on bikes 125cc and over – a switch will remain at the discretion of the manufacturer. With regards to cost, we have learnt that the manufacturers have been artificially inflating the cost of ABS so through this regulation, they would be obliged to reduce the cost significantly. RTR Comment: NOT TRUE – ARTICLE 52 refers to the prohibition of using parts for competition road racing motorcycles for normal motorcycles – however as highlighted in the briefing above, this is no longer an issue. Anti Proposal comments:The technical substance of exactly what is included will be written after the legislation has become law! RTR Comment: This is being discussed in the MCWG now. However, it is the job of the EU parliament to monitor the Delegated Acts. Funny though that as this is an outcome of the Lisbon Treaty, all Members States signed up to this treaty. That’s democracy for you! (in any case, see the briefing above). RTR Comment: NOT TRUE – The Ombudsman found that the Commission has to respond to a complaint – that’s not the same! RTR Comment: When making accusations, it’s a good thing to spell out what “other procedures” actually means. If anybody had the time and inclination to read the original proposal, it actually wasn’t that bad and as mentioned above the proposal means a simplification of procedures (from 13 regulations to 4) which would benefit consumers and industry. (ii) L1Be vehicle (two-wheel moped). (b) Category L2e vehicle (three-wheel moped). – A3 vehicle (high-performance motorcycle). – higher than 130 km/h. (d) Category L4e vehicle (two-wheel motorcycle with side-car). Higher powered motorcycles i.e. 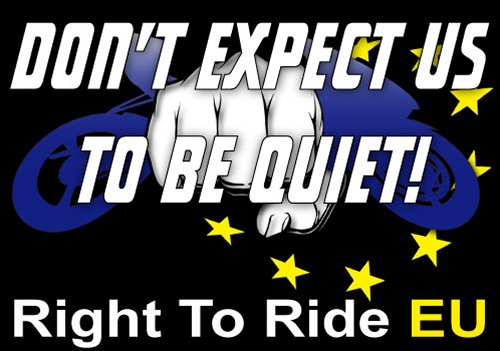 L3e equal to a full A licence and L4e (motorcycles and sidecars) also equal to a full A licence will be excluded from anti-tampering measures. 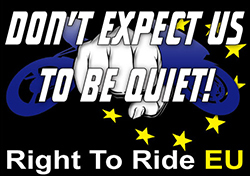 Measures that would be introduced for restricted motorcycles – e.g. mopeds, 125cc and possibly for the new A2 licence, were not directed at users and had absolutely nothing to do with bikes in use, with the aftermarket and any modifications that motorcyclists may wish to apply to their motorcycles.